Boeing said employees who participate in the voluntary layoff plan will receive a lump sum equal to a week's pay for each year of service up to 26 years. The most recent announcement comes only a week after the company said it would cut 777 production rates to five units a month in August, resulting in the loss of a still undetermined number of jobs and a “modest” effect on financial results this year. 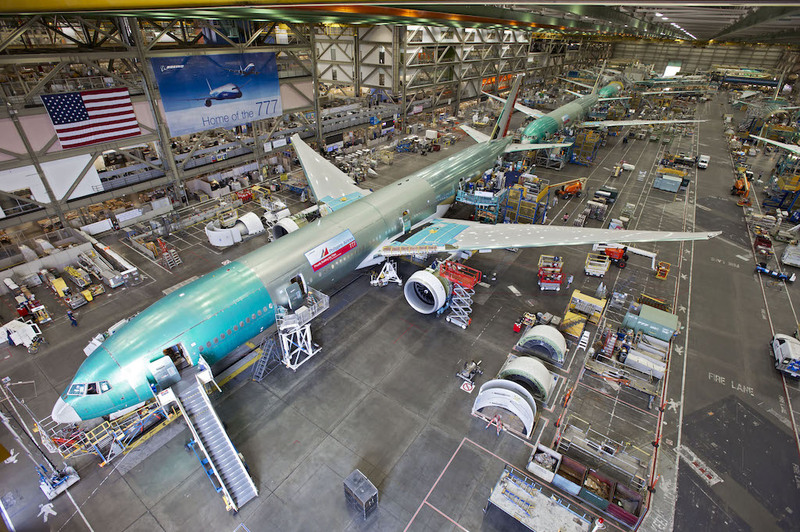 Now building 8.3 of the twin-engine widebodies per month, Boeing had already announced a rate reduction to seven next year to compensate for weakening demand for the legacy 777 as the company prepares to transition production to the new 777X. A production rate of five per month effectively translates into a delivery rate of 3.5 as Boeing institutes plans to “fire blanks” down the line as part of its “Lean” implementation and dedicate some airplanes to 777X flight testing. “The recent 777 rate-reduction announcement is the latest sign that the market is signaling near-term hesitation for twin-aisle aircraft in certain regions,” said Monday’s letter. “But it also illustrates the dynamic business climate in which we currently operate, an environment characterized by fewer sales opportunities and tough competition. Last year’s employment cuts included 10 percent of Boeing's management staff. The Boeing statement follows Airbus Group’s announcement that it will progressively cut 1,164 jobs as part of its planned integration scheduled for January 1. Those reductions will mainly affect support and “integrated functions” and positions in the Chief Technology Office (CTO) organization, it added. The company has set a target of mid-2017 to reach agreements with its employee groups on appropriate “social measures,” such as voluntary departures, redeployments and early retirements.